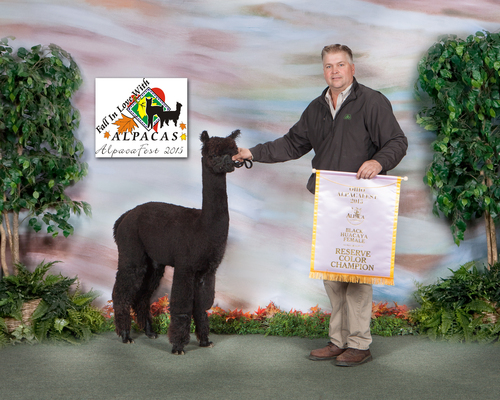 Knight Rider's April is sired by our well bannered black herdsire, 15 time champion Knight Rider. He has passed on his lustrous fleece and bay black color. April is well grown for her age, and she has nice conformation and lovely fleece. April had a great show career, pulling down 2 seconds, a first, and a reserve color champion! You can't purchase Jacob Black breedings, so purchasing a bred female is your only way to get his genetics. Irish Meadows' Indigo is fantastic. Exactly what we were hoping for with this match up. She is a blue black, non-fading. Perfect conformation, great fleece, overall awesome! Come check her out at the later spring 2015 shows...........you will like what you see! 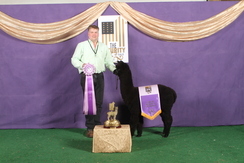 Update: Indigo wins Reserve Color Champion at the Futurity! Yes, that is correct! 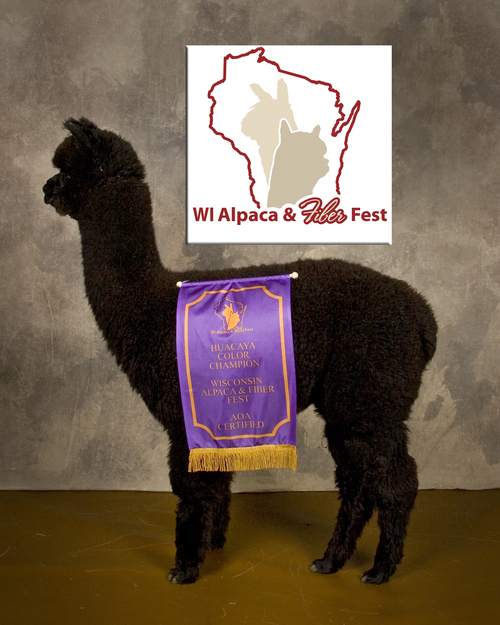 And then she wins Color Champion the following weekend at WISAFF! 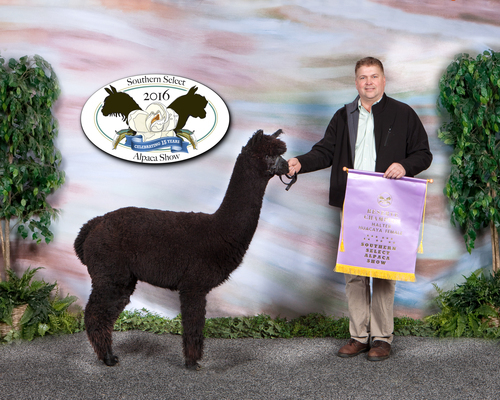 Indigo takes Reserve Champion Black Female at the OABA show this November! 2016 is starting out right with a Reserve Color Champion at Southern Select!